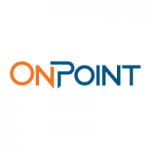 Address: 1323 N. Front St.
OnPoint Commercial Services is a complete commercial kitchen service and repair company. A & P Food Equipment; Inc. Address: 607 W. Dempster St.
AllPoints Foodservice Parts & Supplies offers the best selection of quality replacement parts, supplies and accessories for the commercial foodservice industry. Our low prices and excellent value are complimented by our five locations and same day shipping. Alpine Commercial Refrigeration dba KOOL TECHNOLOGIES, INC.
We have 25 years experience in commercial refrigeration service, sales and installation. We are also a leading distributor for Stoelting since 2000.